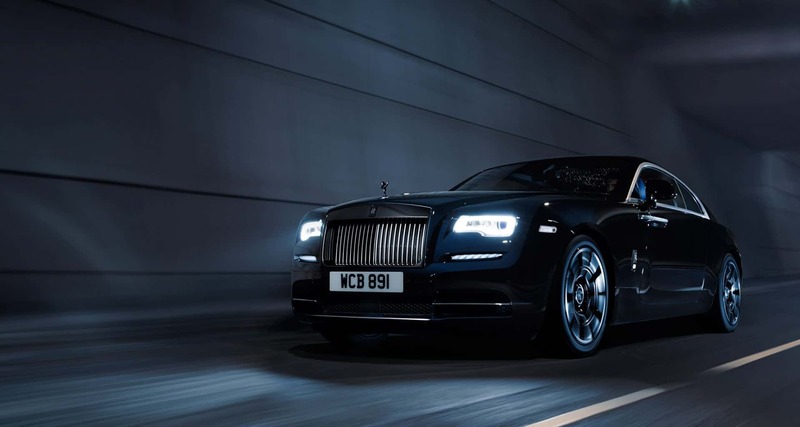 In the past few years, there has been a decrease in the average age of a Rolls Royce owner from 55 to 43, and like everyone else in the car business, Rolls is targeting younger demographic to its appeal. The Wraith in pictures has a striking cobalt blue leather cabin and the exterior paint which is multiple layer finish of exquisiteness is evoking not more black thing. The badges are made silver on black and even the spirit of ecstasy gets to show off a gloss black alter ego. The wheels are made of lightweight alloy and carbon fibre. 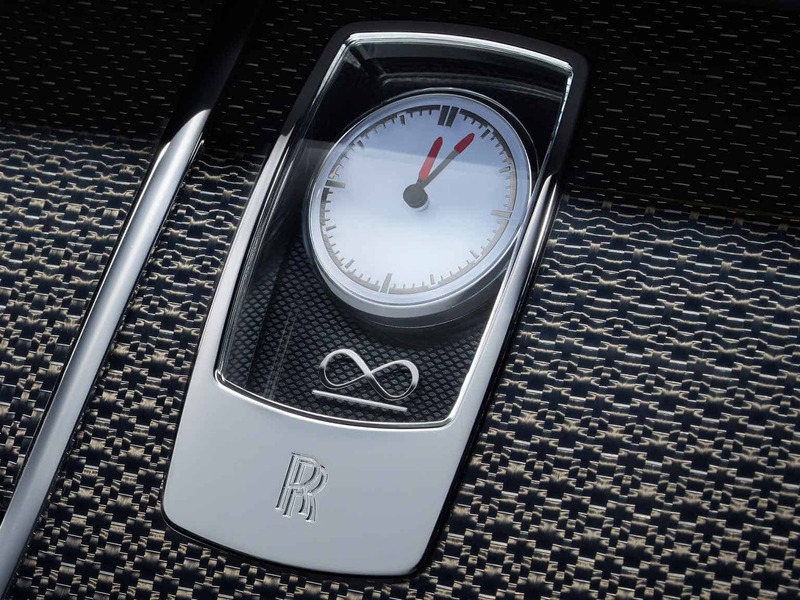 The dashboard and door tops use aluminium threaded carbon fibre composite, while the air vents are darkened with a technique named PVD (Physical Vapour Deposition) that prevents discolouration over time. The overall quality inside out is of high scale. When you look at its interior, you will first notice the newly made Black Badge clock with its hands colored in orange to make you feel a decent high and low in the design of every detail made for you. There is a logo of infinity which is nothing but an attitude of the car to be pushed to greater limits. 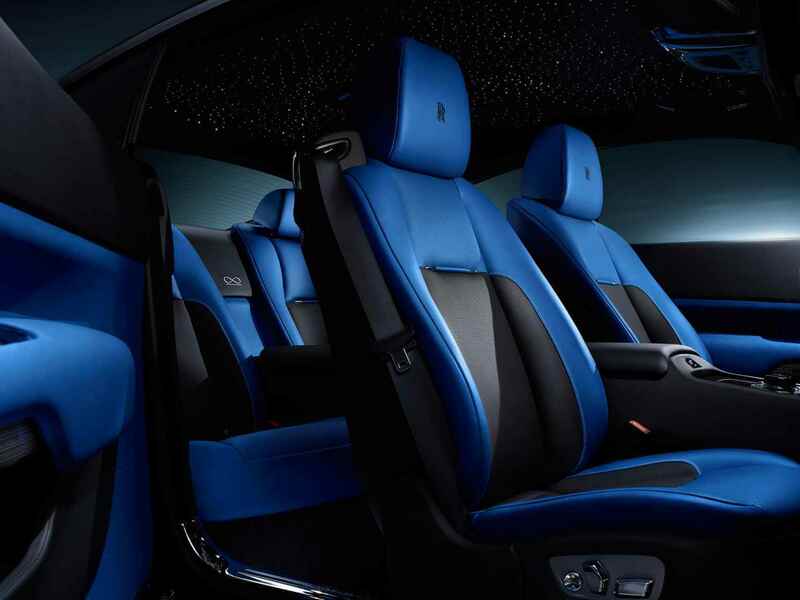 The luxury leather seats are tailored in Blue leather. Coming over to its performance, its 6.6-liter V12 engine puts out 624bhp. But it now has 870Nm (more by 52) and the 8 speed auto shifts higher up in the rev range, depending on what gear you are in. If you give it full, it would rev out to the 6000rpm limiter, making others to know about it too with its vocal. With this beast worked more upon, will give you a greater body control with keener responses while driving it. A reworked suspension, a new set of driveshafts and steering setup make it possible. 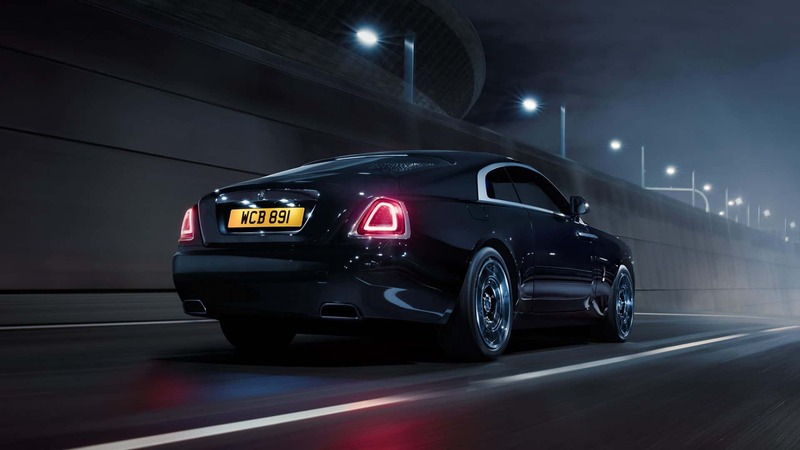 Modification to the Ghost Black Badge increased its power response to 603bhp, and torque to 840Nm (up by 44). So, till the time the Wraith Clubsport shows up, this is the show. This article was published in Automobiles and tagged Luxury Cars, Rolls Royce.